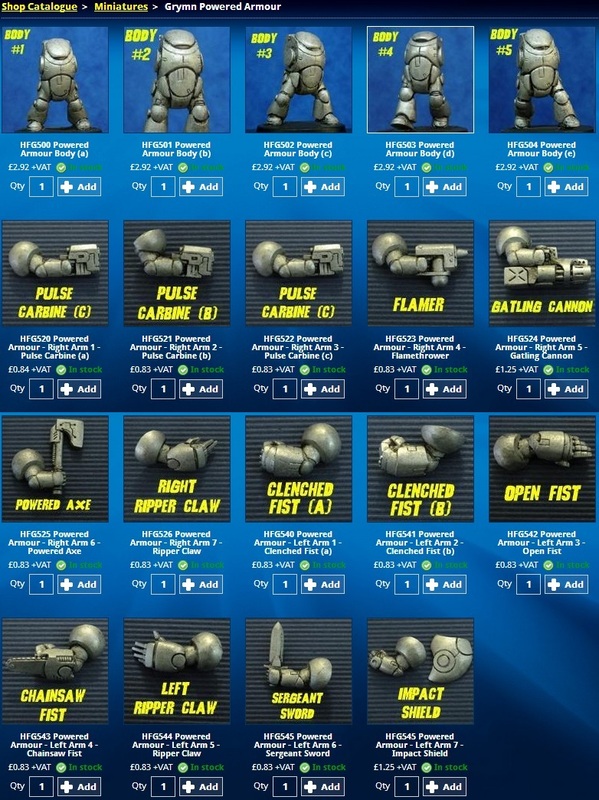 As you can see from the image above (click it to enlarge) the bodies and arms are being sold separately so you can choose to arm your troops in whatever combination you want. Just remember to buy the correct amount of right and left arms for your troops... you wouldn't want to be left short! Here is the LINK to the shop. 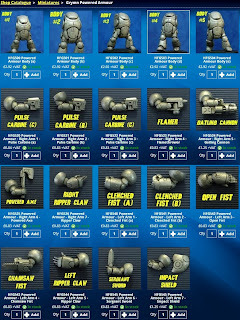 As you will have realised, I am very happy about this and have already placed an order so expect to see a few more urban troops in powered armour very soon. Ha - super cool, I can see why you are excited. They'll fit right in your "canned" army look. I could also see these as stand ins for a lot of thing in several other armies. I have been talking to people on other forums and there is interest in the 15 and 6mm areas for these suits as landmates/small mechs.